French designer Alexia Michel de Chabannes created this inviting modern seating vessel named Goom. 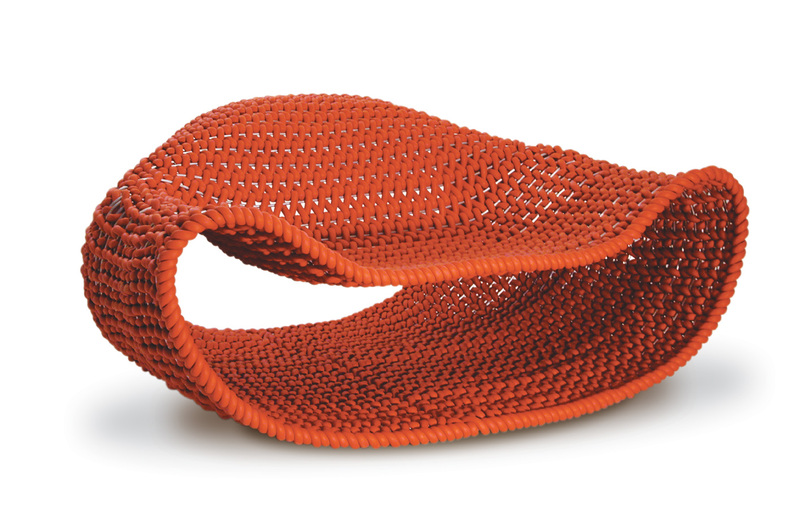 Goom is made of orange foam rubber tubes interwoven with steel wires. This prototype is not in production yet.